Looking for a fun indoor family activity in Minnesota? How about a free movie at the Mall of America? The Theatres at the Mall of America in Bloomington, MN, offer FREE family films every Saturday at 10 a.m. Seats for Family Flicks are available on a first come, first save basis, and is a great way for families to enjoy a movie on a budget. The Theatres at the Mall of America also host Sensory-Friendly Films, perfect for those who have sensory processing disorders or autism. The sound is turned down, the lights are left up, and audience members are free to move around and talk during the movie without worrying about being judged during these FREE 10 a.m. Saturday movie showings. 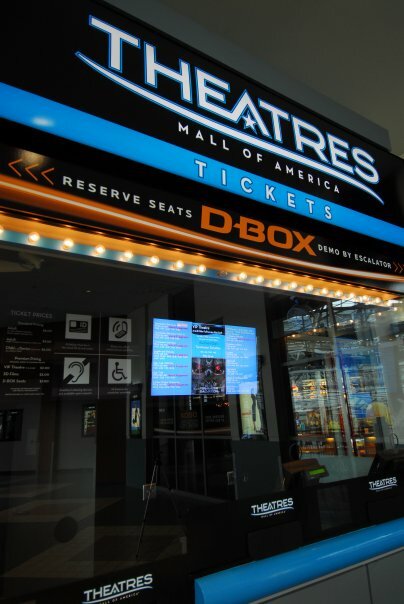 The Theatres at Mall of America also offer date night discounts and other special promotions for movie lovers. Don’t live near the Mall of America? Check with your local theaters to see if they do any family movie screenings. Many theaters are starting to offer free and discounted movie showings and sensory-friendly films to their customers. These screenings are a great way to enjoy movies as a family without spending a fortune.